One of the amazing things about Polarity Therapy is how simple and effective it is. Dr Randolph Stone was able to bridge Eastern and Western concepts of energetic healing. He brought together Ayurvedic andTaoist philosophies whilst also embracing Western holistic treatments such as chiropractic and naturopathy and esoteric Christian beliefs. In his textbooks, through his detailed line drawings, he was able to illustrate energy flows and systems. There are a variety of treatments available as well as differing types of touch. 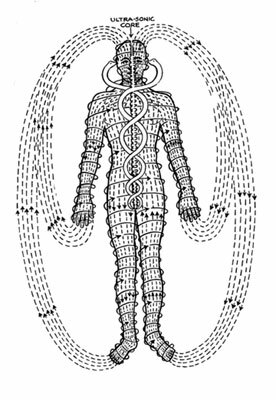 Treatments can be based on balancing the elements of Ether, Air, Fire, Water or Earth. Each element has a number of qualities that relate to the physical, mental or emotional body. The person receiving the treatment is actively involved in making changes by breath work as the energy blockages are ‘stepped up’ or by making dietary changes and doing some simple exercises which help re-energise the physical body. Each element also corresponds to an area of the body and mental state. For example, the Ether element has the qualities of stillness and harmony, whilst it governs the emotional state of Grief. The body part it effects is the neck (around C3 – C5). Ether treatments work on the neck, which if there are blockages there, can contribute to nervous system and structural imbalances. This element governs communication and the emotions in general. Working in this area, using a gentle sattvic touch helps to bring about a profound and peaceful state of relaxation.